Today the 4K format is widely used for shooting films, television shows and even amateur videos. Depending on the camera, we offer several solutions to create such video types. For the film industry it is especially important to get the highest quality material, with that in mind and specifically for this camera, we have created a powerful multicopter and upgraded the electronic stabilization system iCam9. Our RED is used with the Carl Zeiss Distagon T* 3.5/18 Lens. It gives the kind of attractive pictures that film industry professionals will surely appreciate. The multicopter can be easily disassembled and prepared for flight. A set of 10 accumulators and two powerful battery chargers allows the system to shoot without interruption for an entire working day. 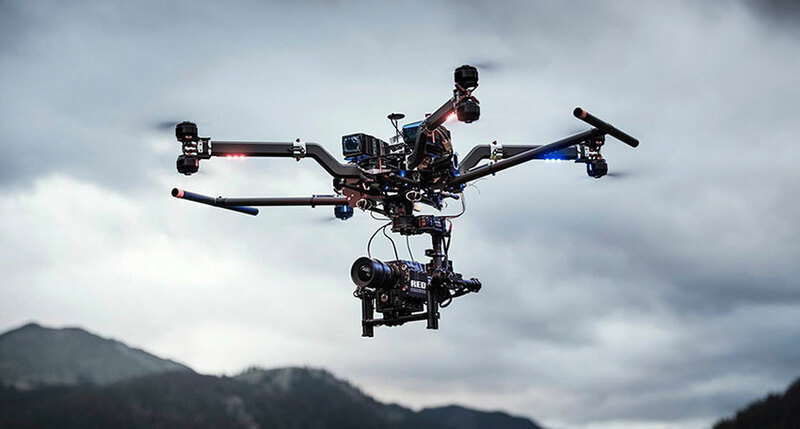 The cost of aerial filming using the RED camera starts from $1100. You can find out more about our pricesь in this section. Для выFor projects which are filmed on location which are three days or longer we provide significant discounts, call us to find out details. The Panasonic GH4 allows to create video in stunning 4К (3840 х 2160) with a speed of up to 30 frames per second, or FULL HD with a frequency up to 60 frames per second. The resulting picture is much better overall than material from cameras such as the Canon EOS 5d Mark III and other similar cameras. This option is ideal for filming TV series, commercials and music videos, or wedding celebrations. The multicopter for this camera is specifically designed for use in difficult shooting conditions. Flying in strong wind or light rain is not a problem for it. For high-risk filming we always take a spare set of equipment which includes an additional multicopter, suspension and camera. The cost of aerial filming using the camera Panasonic GH4 starts from $500. You can find out more about our prices in this section. Despite its modest dimensions, it holds perfectly in the air, even in a strong wind, and is a full-tasked multicopter for a variety of purposes. The compact size makes it possible to shoot in tight spaces or to take it on long trips. The Quadrocopter camera DJI Inpire allows for video to be shot in 4К format at up to 30 frames per second, or FULL HD at up to 60 frames per second. The quality of filming in this case is comparable to the quality of filming you would get from cameras such as the Panasonic GH4 and Canon EOS 5D Mark III. This option is great for creating commercials and music videos, filming of events, wedding celebrations, and video used in television broadcasting. The cost of aerial filming on DJI Inpire starts from $230. You can find out more about our prices in this section. Aerial filming using the GoPro is the more modest option that would reduces the budget required for shooting and it is perfect for use in the Internet space or for a family archive. 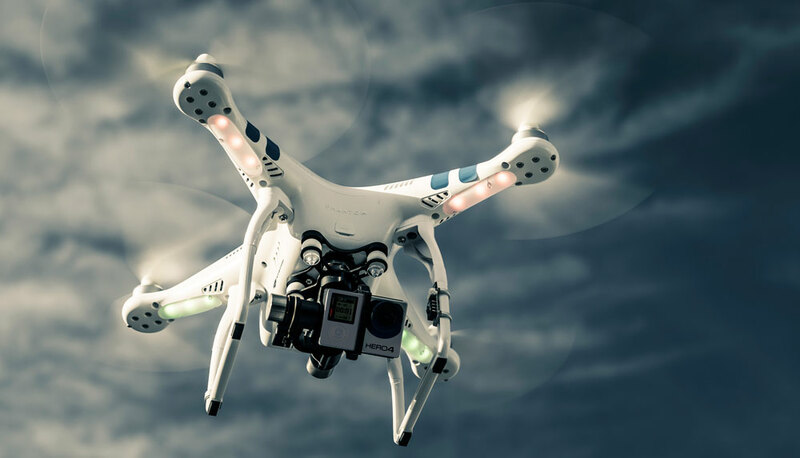 Aerial filming is carried out using a small DJI Phantom 2 or TBS DISCOVERY PRO copter. The distance that this multicopter can film over is about 3 km. Flyovers are of a more simple design, because the multicopter is operated by a single person. Please pay your attention to the fact that the wind is a big obstacle when using light multicopters, so we do not recommend that you shoot with such equipment at a wind speed more than 5 m/s. or leave your phone number, and we call you!